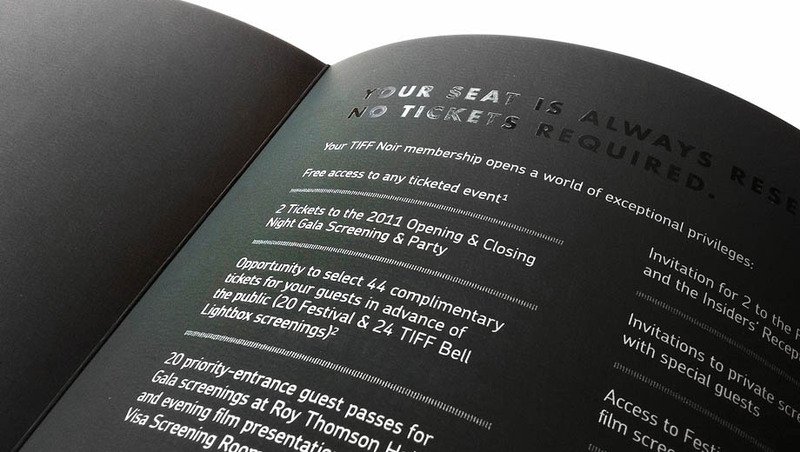 This package for TIFF Noir memberships was produced for Endeavour Marketing and TIFF by The Gas Company Inc. Physical design of the box by Doug Laxdal, manufacture by Jeff Hale and Jeremy Martin. 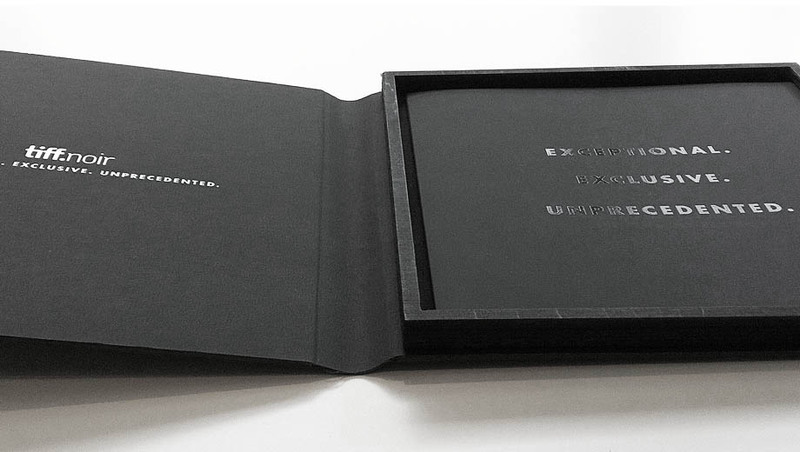 The presentation box is a soft spine construction made from black Touché 13pt stock with a gloss black foil stamp, 4 ply black core mat board, with a laser cut marine plywood box frame lined with Suedelux. 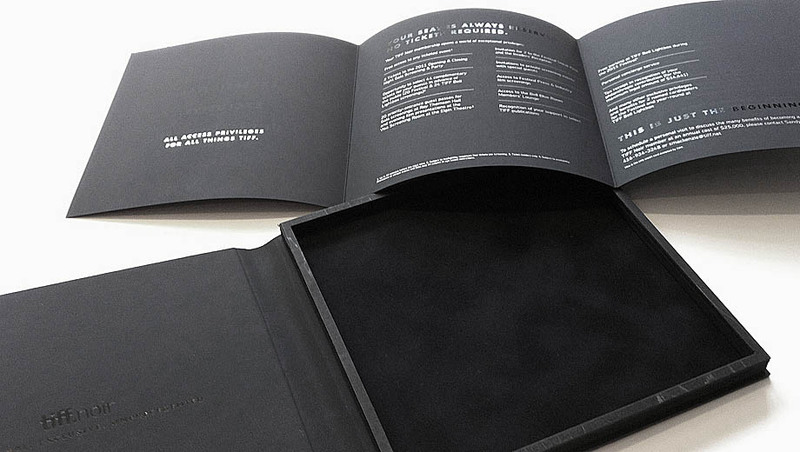 The information pages were printed using two colour silk screen at 330 mesh to hold 5 point type, the belly band was letterpressed black ink, and the package was sealed using a hot wax seal. Gas Company designed and manufactured this proposal cover for Diamond and Schmitt Architects Inc. 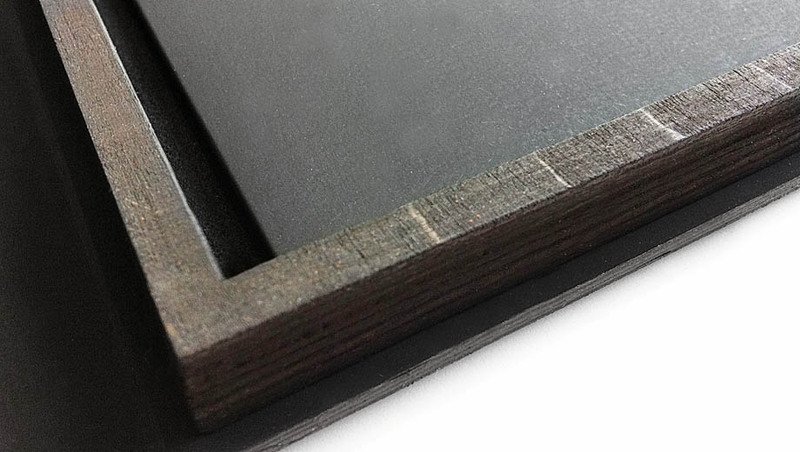 The cover is constructed from maple wood veneer, japanese linen cover stock, 4 ply black board, and black binder metals. 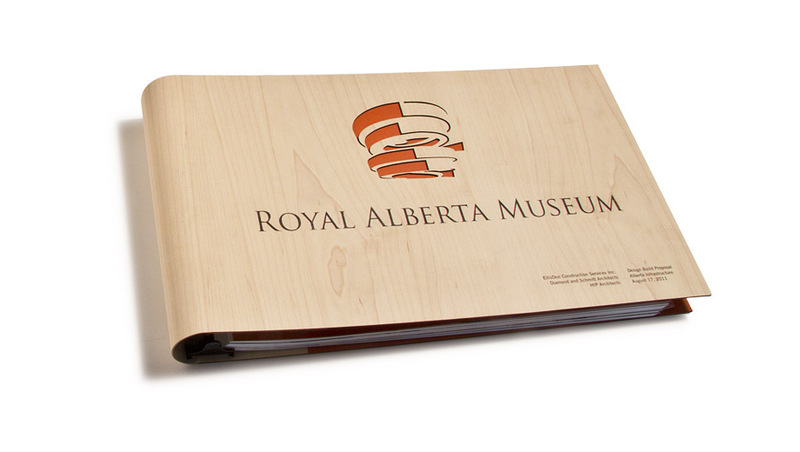 The outside front cover is printed with black ink and then the project logo was CNC laser cut through the wood veneer and the black board, opening below to the bright orange linen stock. Interior is Japanese linen with the inside spine covered in veneer. The tabs were CNC cut from 100 lb Mohawk Superfine cover stock. The industrial and graphic design for this project by Doug Laxdal. Manufactured by Jeff Hale and Jeremy Martin.